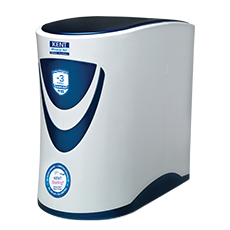 KENT introduces KENT Sterling + , a new and advanced RO water purifier , which provides 100% safe and clean drinking water. 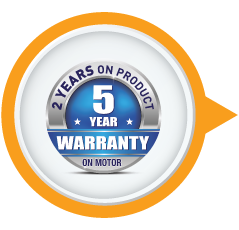 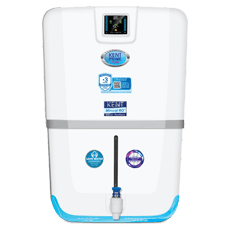 This RO water purifier uses KENT’s patented Mineral RO TM technology that intelligently retains essential natural minerals in purified water. 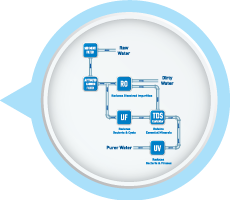 KENT Sterling + is suitable for brackish, tap water and municipal water supply. 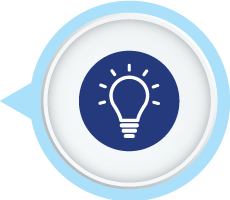 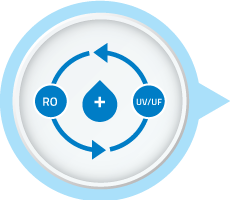 KENT’s patented Mineral RO TM technology retains essential natural minerals in the purified water. 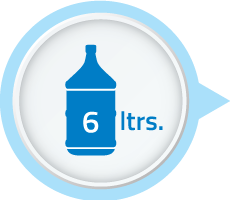 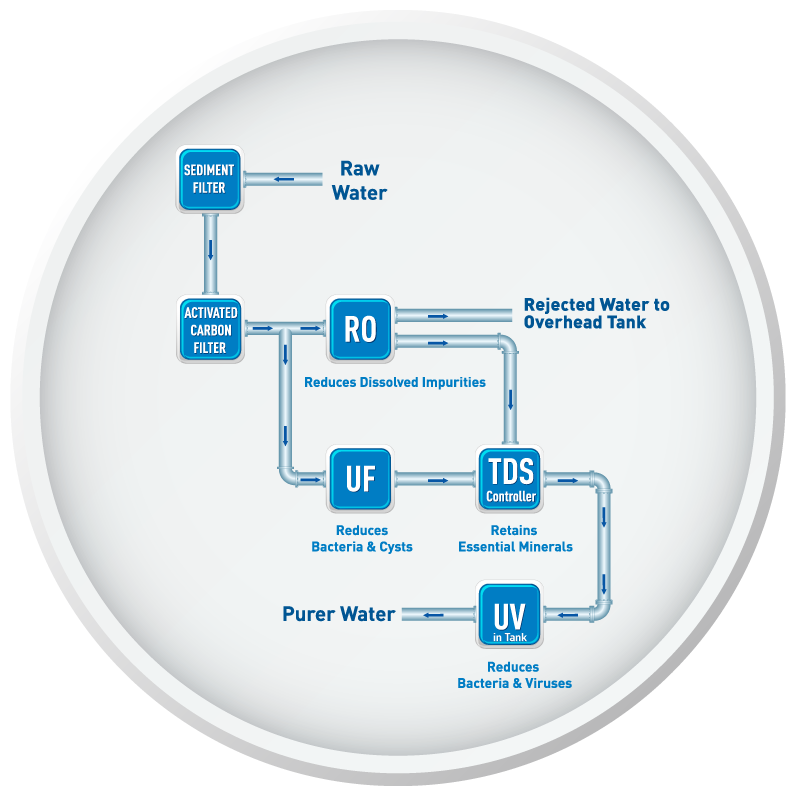 The patented TDS control system helps in providing tasty drinking water. 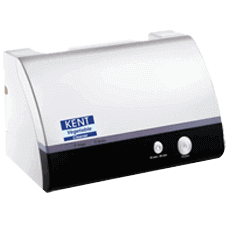 KENT Sterling + uses double purification of RO+UV/UF with TDS control valve to remove dissolved impurities such as Arsenic, Rust, chemicals, bacteria, viruses and salts and makes water 100% pure and safe for consumption. 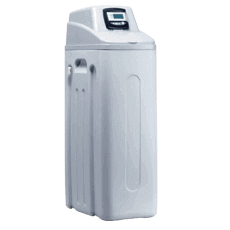 KENT Sterling + has fully automatic operation which allows the purifier to begin the purification process whenever the level of purified water in the storage tank falls below the maximum level. 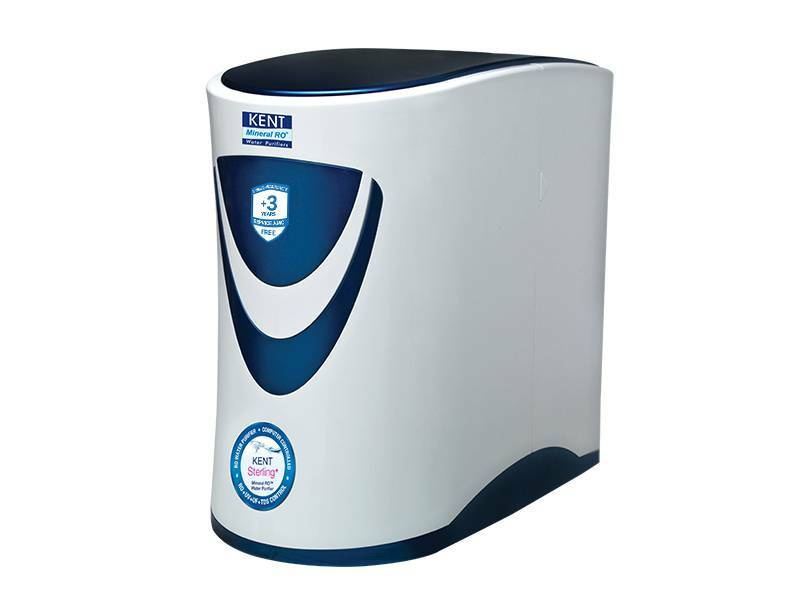 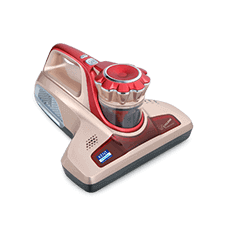 The compact water purifier is ideal for under-the-counter installation. 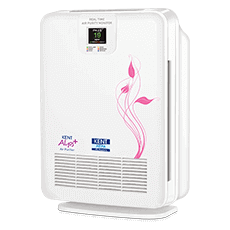 The water purifier is also suitable for side-by-side placement adjacent to the refrigerators for efficient space utilization.